Colors are everywhere. You see them in nature, some are manmade and some are even in your imagination. Then you see that exact color you want, you think it would be perfect in your living room, but how do you get the paint to match? Come to us at Michiana Paint! We can color match anything, whether if it’s a piece of clothing, a picture from a magazine or a leaf from a tree. Once you bring in whatever it is that you want to be matched, we run it through our color matching system. Some items are easier to color match, such as clothes or other textile products. Metallic products are harder because of the way the color is produced and the sheen that results. Photos are sometimes hard because they are produced to be pleasing to look at, not necessarily an exact representation. The nice thing about our color matching system is to be able to take exactly what you see in your mind and make it appear on your wall. The possibilities are endless. You could use it as a main color or even an accent color. Some colors go together better than others but we’re here to help. We can come and show you some examples and help you through the process. Color matching can be fun but sometimes daunting, so that’s why we’re here to help. We can match colors so you can make your room the exact hue you want. Maybe your child wants his favorite superhero color or you want your favorite sports team colors to go through your entertainment room or maybe you’d love to have your college colors in your living room. There is no limit to what you can do with our color matching system. If you can imagine it we can make it. The nice thing is if you ever need to come back for touch up paint we’ll have it stored in our computer for future reference. Color matching use to be a hit or miss proposition. They could get it close but not exact. With modern technology you can precise matches to your color. No more guessing, no more having the paint guy at the local big mart going through numerous tries, just to find out it doesn’t match. Worse yet you take it home and start to paint only to realize after the paint dries it’s not the same color. Then you have to go back to the store and start all over again. We know that your time is money and we want you to get it right the first time. That is our mission here at Michiana Paint. Painting is a hard enough job when you’re doing it yourself so getting the exact color you want is critical. 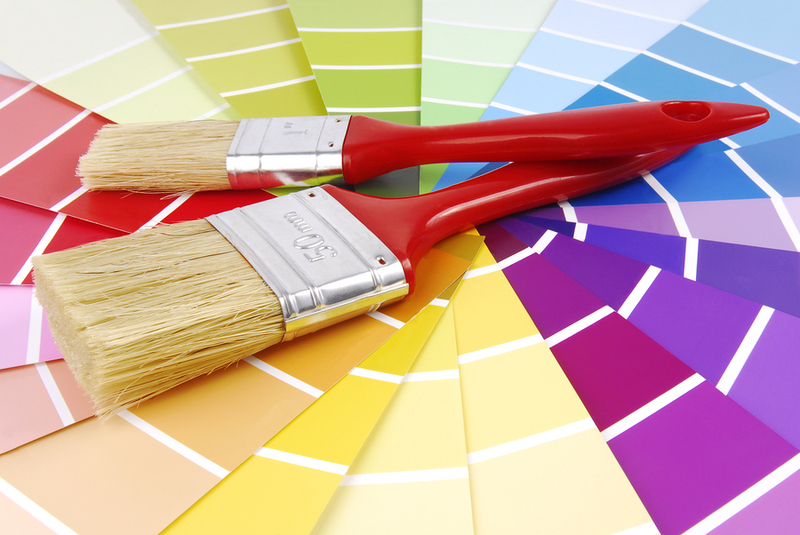 So please let us at Michiana Paint let you make your job easier with our color matching system. So when you’re done it will look just like it did in your head. Then sit back and smile with a job well done.